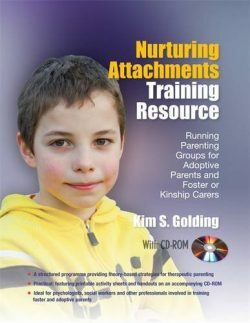 Children who are adopted have frequently experienced a range of aversive experience which impact on their ability to form secure attachments. Dyadic Developmental Psychotherapy (DDP) is an intervention designed to develop and promote secure attachments with children who have experienced developmental trauma. Eight adoptive parents participated in semi-structured interviews regarding their experiences of attending the ‘Nurturing Attachment’ group informed by DDP. The transcripts of their interviews were explored using Interpretative Phenomenological Analysis. The analysis revealed five inter-connected superordinate themes which were as follows: A supportive group, A shift in perspective, ‘Turning trauma into secure attachment’, ‘Am I doing it right?’ and Continuing the adoption journey. Themes are considered in relation to the theoretical underpinnings and practice of DDP. Some further implications for clinical and research practice are also discussed.